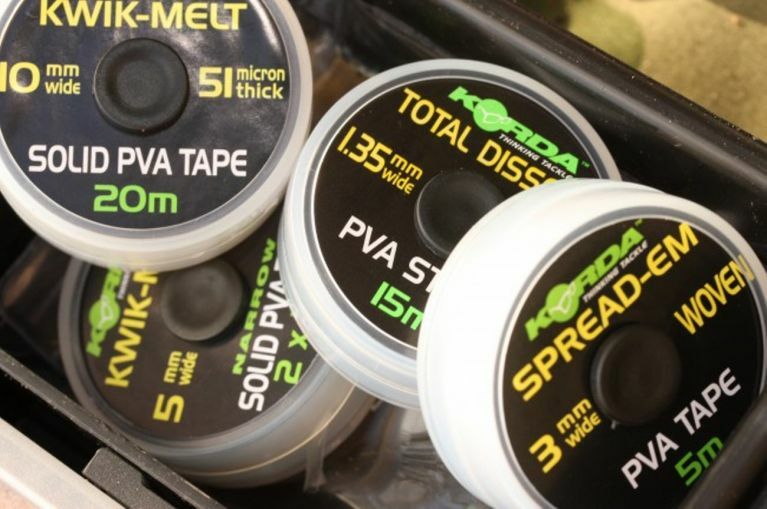 Kwik Melt tape has become the favourite PVA tape for many of our most-admired big-carp anglers. It's great for stringers, as well as tying off PVA bags and securing hairs on the cast. As the name suggests, Kwik Melt dissolves reliably even in cold conditions. It is supplied as conventional10mm tape, as well as 5mm twin-tape.